Often described as synthetic antibodies, aptamers are single stranded DNA or RNA molecules that fold into defined secondary structures and bind to targets with high affinity and specificity. In 1990, the first aptamer was developed against T4 DNA Polymerase using RNA1. The field of aptamer selection and the use of these aptamers has expanded significantly. Now aptamers are developed using both RNA and DNA, as well as non-natural bases, backbones, and small molecules. Aptamers have been used in a variety of applications; detection molecules in ELISA-like assays, protein-specific tissue staining, targeted drug delivery, and as an FDA-approved treatment for macular degeneration2. Aptamers are developed using a process known as SELEX (Systemic Evolution of Ligands by Exponential Enrichment). During SELEX, trillions of random DNA oligos are mixed with the target molecule; sequences that bind to the target are then collected and amplified. After multiple rounds of selection, the DNA is sequenced and individual sequences are evaluated for binding. Using SELEX aptamers with affinity for a variety of targets can be developed, including proteins, peptides, and small molecules. If you’re interested in obtaining a quote for a custom aptamer, simply fill out a quote request form linked below or email our technical support department (techsupport@raybiotech.com). They will email you back a formal quote as soon as possible. To place an order, simply fill out the service form linked below and email to orders@raybiotech.com or include it with your shipment. Eliminates need for hybridoma storage and maintenance. 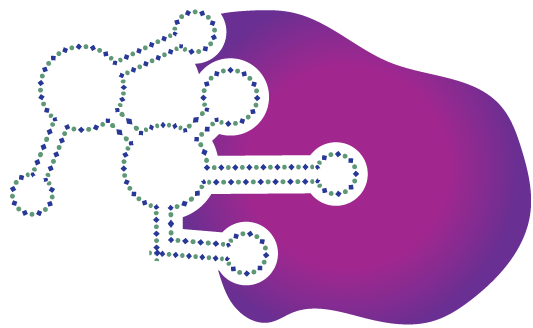 Aptamers can be "stored" digitally and are produced synthetically based on their sequence. Easily scalable; can be generated and replenished without the use of animals. Aptamers can be synthesized in under a week. Selections start as low as $4000 for individual aptamer sequences and $995 for "polyclonal" enriched aptamer pools. Selection: DNA sequences that bind to the target are partitioned from sequences that do not. Binding sequences are amplified via PCR and brought forward for additional rounds of SELEX (generally 5-10). Sequencing: RayBiotech uses NGS and data analysis to determine which aptamers to evaluate as opposed to randomly selecting individual clones. RayBiotech incorporates state-of-the-art techniques into our SELEX process to generate high quality aptamers for our customers. Because the selection technique can bias the developing aptamer pool, we will tailor the selection strategy to best suit each customer’s needs. Often this includes using multiple selection techniques within a single project to generate the best aptamers. For example, in many of our selections we will begin with Capillary Electrophoresis SELEX (CE-SELEX) to identify aptamers that bind to all the surfaces of a protein target, enriching the pool of potential binders. This pool of aptamers is then used in a subsequent type of SELEX that more closely resembles the end use assay but does not have as much ability to separate binding from non-binding sequences. Because the pool has already been enriched for binders, we can focus on finding which of those binders work best in your assay. Traditional Selection: A traditional selection technique requires the target of interest to be bound to a solid support. This support can be beads, the walls of a microtiter plate, or gel-like resins. The aptamers then bind to the immobilized target, non-binders are removed, and the remaining bound aptamers are collected and carried through to the next round. Benefit: good separation between binding and non-binding DNA sequences, but at the cost of potentially identifying aptamers against the linker or the support that the target is bound to. Additionally, with smaller targets, this technique may limit the number of surfaces available for aptamer binding. Reverse Selection: This is similar to traditional selection except that the aptamer library is bound to the solid support, which is then challenged with the target of interest. Depending on the selection strategy, the bound aptamers can be collected by secondary capture of the target or by releasing the bound aptamers from their solid support. Benefit: the target of interest is not bound or modified in any way, allowing the aptamer to recognize the target in its native form, making this type of selection ideal for smaller molecules. However, efficiency of separation between binding and non-binding DNA sequences is generally lower than other types of selection, resulting in longer selection times. CE Selection: The traditional method requires the target to be bound to a solid support, which potentially alters the target the aptamer is selected against. However, at RayBiotech we use CE to separate binding sequences, permitting the DNA to interact with the free protein in solution. This allows the two molecules to recapitulate natural interactions in serum or other fluids. Additionally, the separation efficiency of CE selection is very high which means fewer rounds of selection are required to enrich the aptamer pool. While traditional SELEX can require 10 rounds of selection or more, CE can effectively identify aptamers in as few as 3 rounds, which helps to reduce the effects of PCR bias on the selection4,5. The use of CE also allows us to monitor the development of the aptamer library throughout the selection process. In addition to a variety of selection techniques, RayBiotech uses Next Generation Sequencing (NGS) instead of plasmid cloning techniques to identify individual aptamers. We utilize the data gained in NGS to analyze the entire aptamer pool and identify common aptamer sequences, motifs, and other patterns in the library. Using this information allows us to use data analytics to identify better aptamer candidates than those identified by randomly selected clones, increasing the likelihood of success. After candidate sequences are identified, they are synthesized and assessed for their ability to bind the target of interest. The techniques used may vary based on the target and the final application of the aptamer. As with antibodies, the application can impact the aptamer’s performance and thus multiple techniques maybe used to determine the functionality of the final aptamer. After the best binding aptamer has been identified, we then send the sequence to the customer. Upon request, we can also ship any remaining aptamer to the customer. Additionally, the customer retains ownership of the sequence free of licensing, royalties, or other fees. This allows unlimited future ordering of additional aptamer from any supplier, with any desired modifications, to be used in any application. We understand that each customer has different requirements for their project and we are happy to work with you to design a selection process to best fit your needs. Tuerk, Craig, and Larry Gold. "Systematic evolution of ligands by exponential enrichment: RNA ligands to bacteriophage T4 DNA polymerase." Science 249.4968 (1990): 505-510. Vinores, Stanley A. "Pegaptanib in the treatment of wet, age-related macular degeneration." International journal of nanomedicine 1.3 (2006): 263. Bauer, Michelle, et al. "The Application of aptamers for immunohistochemistry." Nucleic acid therapeutics 26.3 (2016): 120-126. Stuart, Christopher H., et al. "Selection of a Novel Aptamer Against Vitronectin Using Capillary Electrophoresis and Next Generation Sequencing." Molecular Therapy—Nucleic Acids 5.11 (2016): e386. Mosing, Renee K., and Michael T. Bowser. "Isolating aptamers using capillary electrophoresis–SELEX (CE–SELEX)." Nucleic Acid and Peptide Aptamers: Methods and Protocols (2009): 33-43.